VMware Horizon Mirage is a product in VMware’s EUC range of products that manage images across physical desktops and point of service devices. It uses something called layers to simplify OS and application rollouts. With Mirage, devices are separated into logical layers that can be controlled by the admin or end users. Admins can streamline OS and application layer updates, and end users can keep their personalized settings. Horizon Mirage enables quick OS updates and migrations, application upgrades, and hardware upgrades. Admins can also quickly enroll new PCs with bare metal provisioning. 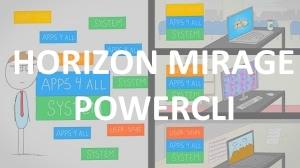 This has historically been managed via a MMC style console and recently a web interface but new to this product from VMware Horizon Mirage 5.1 is its integration into PowerCLI and the ability of PowerCLI Cmdlets. The Cmdlets are installed where you would install the Mirage Management Console, normally this is on the Administrators workstation. Once installed you can connect to the Mirage Server and use the cmdlets to work with Mirage. Apply-MirageOsMigration This cmdlet applies download only migrations. Archive-MirageCvd This cmdlet archives the CVD. Connect-MirageServer This cmdlet configures a connection to the Mirage API server. Disconnect-MirageServer Disconnects from the Mirage server. Get-MirageAppLayer This cmdlet returns the app layers from the Mirage system. Get-MirageBaseLayer This cmdlet returns the base layers from Mirage system. Get-MirageCvd This cmdlet returns the CVDs from Mirage system. Get-MirageCvdCollection This cmdlet retrieves the collections from the Mirage system. Get-MirageOsMigration This cmdlet retrieves the download only migrations from the Mirage system. Get-MiragePendingDevice This cmdlet retrieves the pending devices from Mirage system. 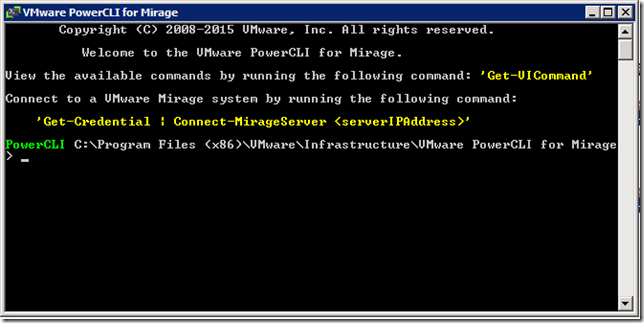 Get-MiragePolicy This cmdlet retrieves the policies from the Mirage system. Get-MirageVolume This cmdlet retrieves the volumes from the Mirage system. 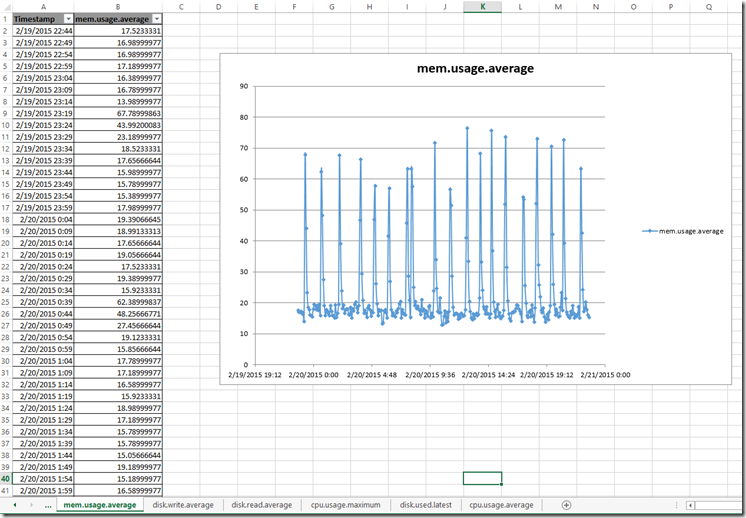 New-MirageCvd This cmdlet creates a new CVD with the specified policy and volume in the Mirage sytstem. New-MirageOsMigration This cmdlet migrates CVD with the specified base layer, app layer and related info in the Mirage system. Remove-MirageCvd This cmdlet removes the CVD. 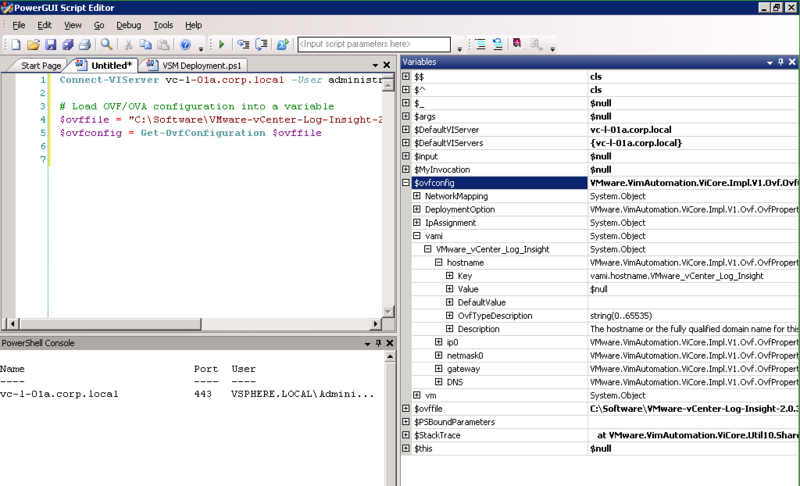 Set-MirageCvd This cmdlet updates the CVD with the specified policy. Sync-MirageCvd This cmdlet synchronizes the CVD’s device information. I actually wrote this a while ago and forgot about it until recently when I was asked if it could be done, this was a great reminder for me to post the code for others to use. 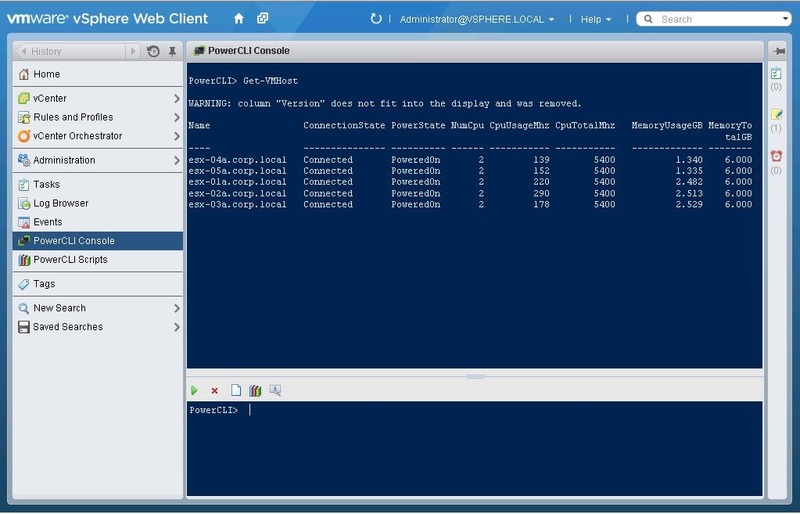 You will need PowerCLI 5.8 R1 for this and don’t forget, once vShield has been deployed you can easily take the configuration further by using the vShield module I created here. For other examples of deployment scripts for VMware appliances check out the repo here and contribute! F or a couple of releases now PowerCLI has been able to work with vSphere Tags, A tag is a label that you can apply to objects in the vSphere inventory. After creating a tag, you can assign that tag to a category. Categories allow you to group related tags together. When you define a category, you can also specify the type of objects to which its tags can be applied to and whether more than one tag in the category can be applied to an object. For example, if you want to tag your virtual machines by the owner, you can create a category called “Owner” and specify that it applies to virtual machines only and that only a single tag can be applied to a virtual machine at any time. The tags in this category could be Alan, John or Fred etc. 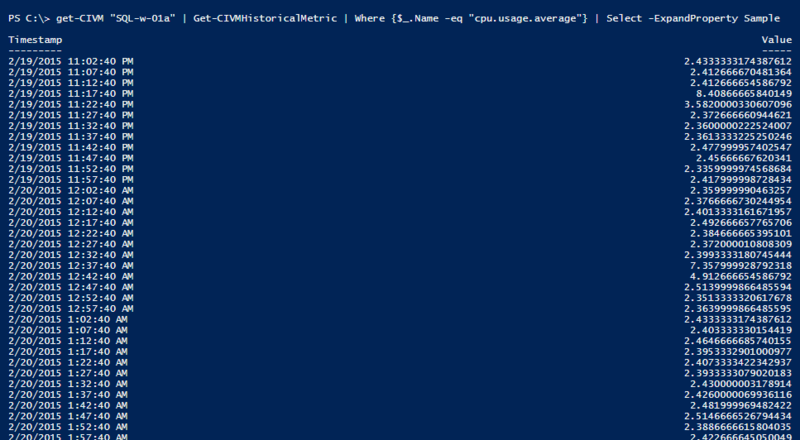 I have had a few people ask me how they can use PowerCLI to work with external systems, CMDBs, databases or even just a CSV file. One example of this is where a company could have various information about hosts or datastores or virtual machines, like the project that purchased these, a cost code or an owner. 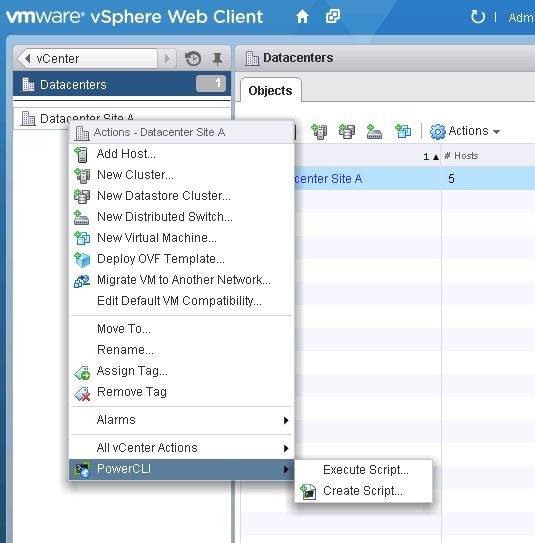 This data is generally stored somewhere else but it would be great to see this information straight in the vSphere Web Client where you manage the objects so that you can instantly contact the owner or work out which project the object is being used for etc. The below video shows how we can use PowerCLI and this generic script I created to import the data, create the tags and tag categories and assign them to the machines, it uses a csv as input but this could obviously be changed to anything which can be read in PowerShell, like a API, database, application etc etc. This script is the script I created as an example which relates each of the items in the Name column to an object in the inventory then for each of the other column headers it will create a category and then the tags that are under the categories, once this has been done it will apply the tags to the objects in the Name column. 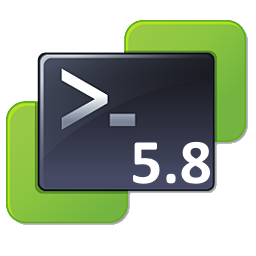 Today VMware released PowerCLI 5.8 R1, in this release they add even more automation awesomeness to this already powerful tool. 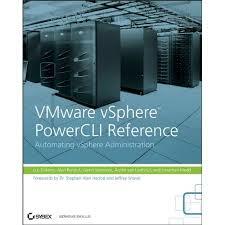 It supports all the way back to vCenter and ESXi 4.1 so if your using this version or anything above this I think it’s well worth updating PowerCLI to make sure you take advantage of the new features, speed increases and bug fixes in this version. 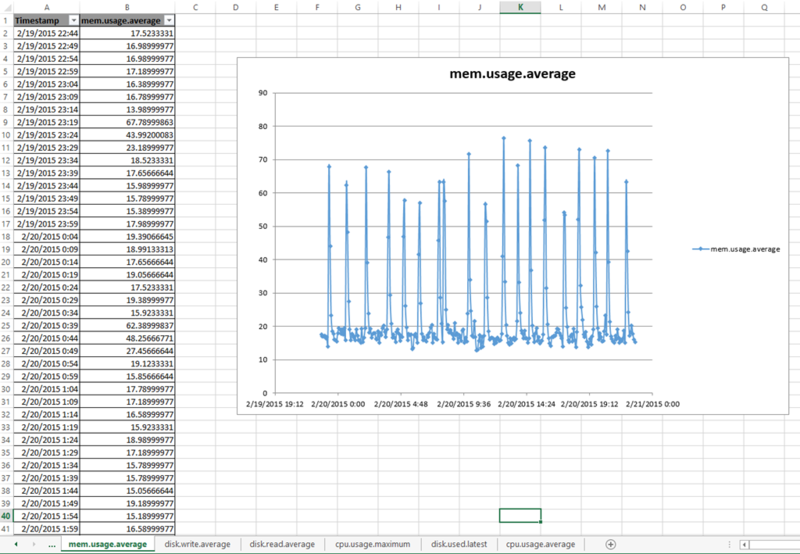 Faster startup – Enhancements have been made to improve the start-up speed of the first PowerCLI cmdlet in a session to ensure access to PowerCLI is now faster, this was something that I know was an issue in the past and Clint Kitson did an excellent post on things to check and making things faster, whilst the PowerCLI team handles manually compiling the .NET PowerCLI Serializers (notice the installer takes a couple of seconds longer) Clints post is still worth checking out as he lists some other things which can also help with the startup speed. Enhancements have been made to error reporting by including more details in the error messages returned by the cmdlets, this includes more information from the APIs making sure users have the best information available when diagnosing why vCenter failed with a task. You can now pass SpbmStoragePolicy objects to the RelatedObject parameter of the Get-HardDisk and Get-VM cmdlets. You can now provide a filter when working with Datastore Providers. You can now filter on DistributedSwitch and VMHost when using the Get-VMHostNetworkAdapter cmdlet with provided parameters. You can now work with vCloud Director and vCloud Air with support for the latest version of the vCloud Director APIs, again a great enhancement and less pain when working with the latest vCD APIs as you no longer need to force the API version for it to work correctly. vCloud Director cmdlets have been extended to include the New-CIVM and Get-CIVMTemplate cmdlets. The New-CIVapp cmdlet has been extended with a new parameter set, which allows you to create an empty vApp. You can now work with the enhanced vCenter Site Recovery Manager 5.8 public APIs,these have been extended by the SRM release and PowerCLI will enable automation of even more areas now! So why are you still reading this post? Go download it now! or if you are a vCloud tenant you may want to just download the cmdlets that enable you to work with vCloud as a user from here. You may have heard me talk about Webcommander before at VMworld or during a vBrownbag, if you haven’t and you don’t know about this project then you have been missing out! WebCommander was designed as a framework to wrap your PowerShell and/or PowerCLI scripts into an easy-to-access web service, give each script a nice easy web form and show the results, give a simple icon on a web page to your end users and allow them to use your scripts and all they need is a web browser! 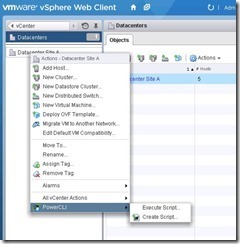 Have you ever wanted to give your users access to certain virtual infrastructure tasks instead of the entire vCenter Client? 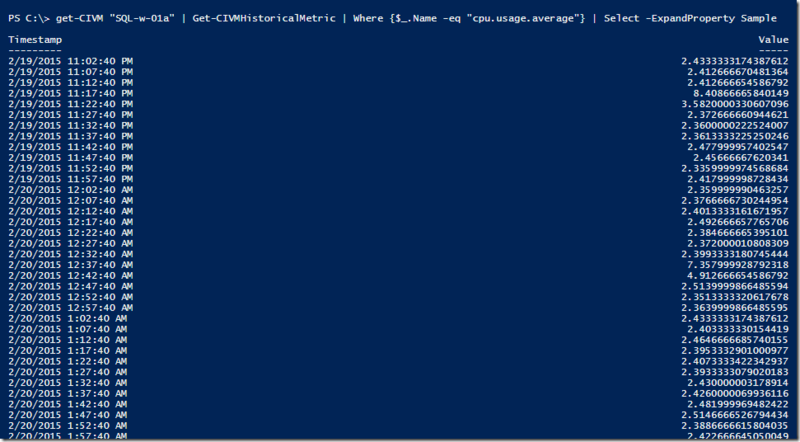 Have you ever written tasks in PowerShell which you wished you could easily hand off to the users to run on an ad-hoc basis? Now you can hand off the tasks your users need by simply adding a new script and giving them access to WebCommander. 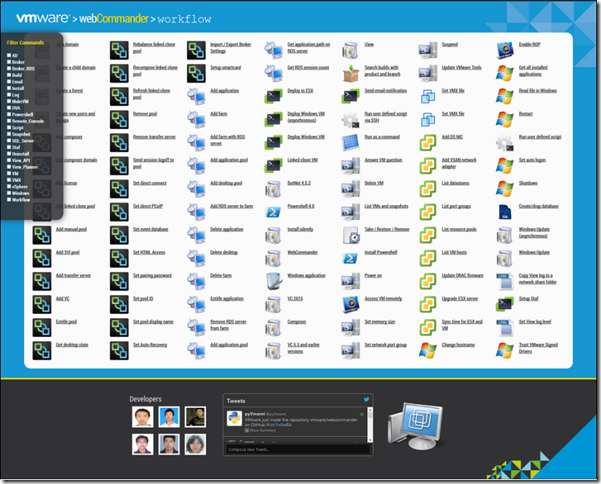 Previously WebCommander was initially released as a VMware fling and updates were performed by VMware, the community was keen to jump on this and the feedback came in thick and fast, I was amazed to see how some customers were using WebCommander and how they took it to the next level. The main engineer on the project (Jerry Liu) implemented the feedback fast and released update after update to bring the additions to the latest version. The final part of this story and the great part is that Jerry has now released WebCommander to the community as an open source project on Github, this is fantastic news as it means more people can now get involved, add new contributions and make changes which can be checked back into the core code for everyone to use. 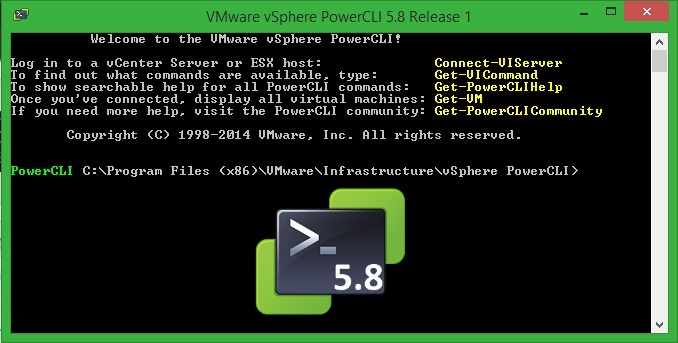 PowerCLI and PowerShell users alike. So why wait, head over to the site here, download and contribute to this awesome project!